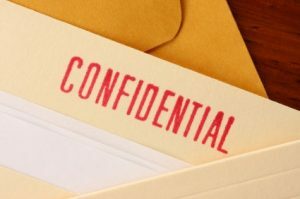 Confidentiality for Consulting Customers. Behavioral Health Resources, LLC will not share, sell, give away, or distribute e-mail addresses, contact information, addresses, phone numbers, or any other information provided to us. Behavioral Health Resources, LLC acknowledges that in the course of contacting us, individuals and companies may make us privy to proprietary, confidential, and competitively sensitive information concerning their business. We agree to receive and hold all such proprietary and confidential information in confidence and only make use of such information in the course of communicating with the individuals and companies that contact us. Companies that provide contract services to Behavioral Health Resources, LLC, related to general business operations (e.g., Internet Service Provider, billing service) may have access to confidential and proprietary information and are required to sign a Business Associate Agreement. This Agreement includes a nondisclosure statement to safeguard not only proprietary information, but also the identity of customer organizations and therapy clients. Behavioral Health Resources, LLC will only disclose information to the extent permitted under a written agreement between us and a customer with whom we are engaged. A customer’s testimonial or reference will only be used with prior written permission. Confidentiality for Therapy Clients. When providing clinical services for mental health and substance use treatment, information related to Protected Health Information (PHI) will only be exchanged with a valid authorization, Business Associate Agreement, or as otherwise allowed in accordance with HIPAA and 42 CFR Part 2. Corporate Compliance. 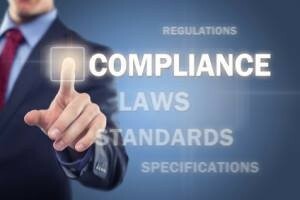 A corporate compliance program is a formal program specifying an organization’s policies, procedures, and actions within a process to help prevent and detect violations of laws and regulations. Our Corporate Compliance Officer is our President, Brenda Rohren. She can be contacted at (402) 486-1101 or brenda@bhr-llc.com.